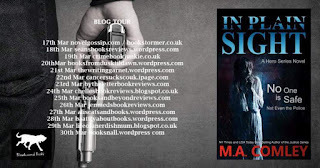 Today on Life Of A Nerdish Mum I am proud to be part of the blog tour for In Plain Sight by M. A. Comley, published by Bloodhound Books. I am sharing with you my review of this great book! No one is safe... not even the police. DI Hero Nelson is used to violent crime but this one is personal. When he's called to a crime scene he discovers the victims are two police officers one of whom is a good friend. Determined to track down the killer, he’s dealt another blow as the body count continues to rise. To catch the killer before he strikes again, Hero calls upon the public for help. But when the criminal ups the ante by taking hostages, he soon regrets his actions. Can Hero and the police catch the murderer before more innocent victims are hurt? Hero must apprehend a killer who is hiding in plain sight before the time runs out. In Plain Sight is my first M. A. Comley book and I have been really looking forward to picking one of her books up as I have heard nothing but good things about her writing. 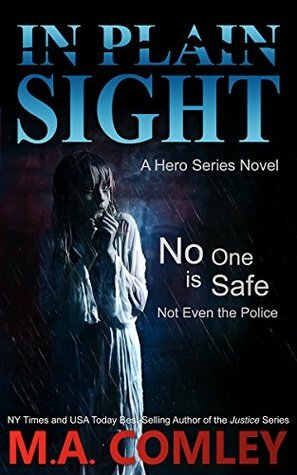 In Plain Sight is the third book in the Hero series, but can 100% definitely be read as a stand alone. There is plenty of character development in this story to feel comfortable enough picking the series up here. This book is not a who dunnit, but a why dunnit and we meet the killer almost immediately and then get to know him throughout the book. The character is terrifying in the fact that he just doesn't care and will kill without prejudice and seems to get a thrill from other peoples pain. The fact that he targets the police too as they are the ones who are supposed to protect us but if they can't protect themselves, how can we hope for them to protect us? The story was fast paced and you have to keep reading to see what the killer will come up with next. I kept telling myself just one more page, but that was never the case. I really enjoyed the representation of the Territorial Army and some of the work they do, I have no real idea of what they do apart from training, so it was good for me to have a peek into their world. Hero Nelson is the main character of In Plain Sight (and the series) and he seems to be a great family man who quite clearly loves his wife and kids and he works extremely hard to solve cases and a is good guy to work with...however I just didn't gel with him and I had no real connection with him like I have with other Detectives. I have no idea why and it didn't affect my enjoyment of reading In Plain Sight, but I couldn't bond with him. Overall an absolutely brilliant book and I'm excited to go through M. A. Comley's other books now so I can catch up with her work. M A Comley is the New York Times and USA Today bestselling author of the Justice series. 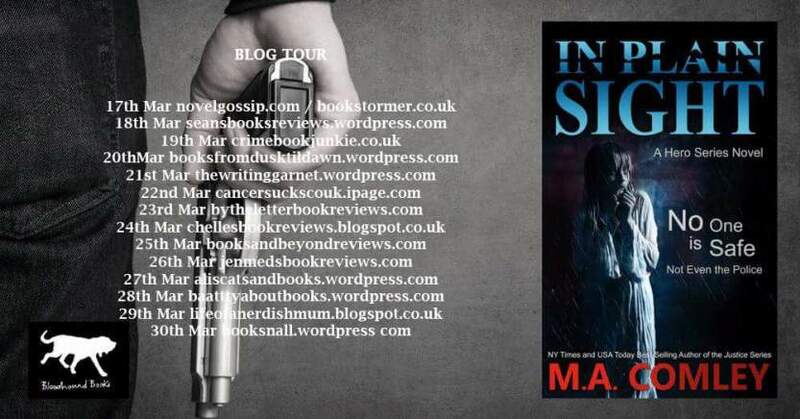 As an indie author she has reached the top 20 on Amazon, number 2 on Barnes and Noble, and the top five in the iTunes charts on both sides of the pond. To date her novels have sold over one million copies worldwide. 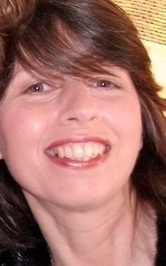 She is a prolific author who writes fast-paced thrillers. She often pushes the boundaries and is not afraid to tackle tough subjects. Mel has also written, the Hero series, the DI Sally Parker series, the Intention series, and the DI Miranda Carr series. She has also co-authored the OCT series with Tara Lyons and the Deception series with fellow NY Times bestselling author Linda S Prather. Even after six years of publishing, she still spends over a hundred hours every week pounding away at the computer, her life truly does revolve around her love of writing and entertaining her fans. On the odd occasion she takes time off she enjoys going on long walks with her dog Dex, a rescue labrador, who she adores, spending time pottering around in the garden and reading fellow thriller authors’ works.